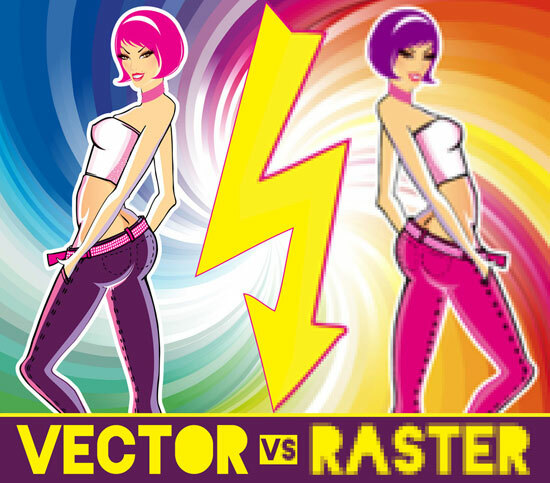 Raster files are considerably larger as compared to the vector files, and high resolution raster files are larger than the raster files with a lower resolution. Overall raster graphics are less economical than vector graphics since they are slower to display and print, less versatile and more hectic to work with. Vector graphics are based on mathematical formulas that define geometric elements like circles, polygons, lines, curves and rectangles. Since vector graphics consist of geometrical elements they are best suited to represent more structured images like line art graphics with flat and uniform colours.